Rice Pilaf is rated 2.3 out of 5 by 4. Rated 5 out of 5 by 1ibddd from Big Favorite, great with Beef. Chicken or Pork! The rice pilaf is a big favorite in our house. WE will serve this with Roast Beef, Pork, or Chicken! It is so good! Rated 1 out of 5 by Ian J from Rice Pilaf no flavor Two packets of rice pilaf with no seasoning. Seems there may be a problem. Both packets purchased at the same store. 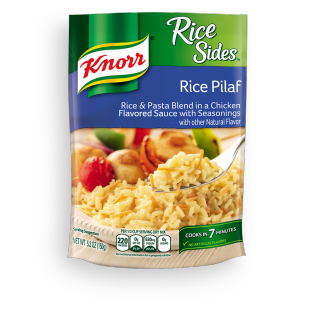 Rated 1 out of 5 by Kathleen from Knorr Rice Pilaf I also got a bad package with ZERO seasonings. It was very disappointing. I sent an email to unilever.